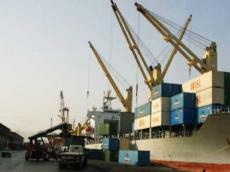 Iran carries out export transactions with Iraq and Afghanistan by using rials, chairman of the Iranian Ceramic Producers Syndicate Behnam Azizzadeh said in an interview with the Young Journalists Club (YJC), Trend reported. He said that however, according to the refunds regulations, exporters should return the currency. Azizzadeh added that more than 90 percent of Iran’s export transactions account for Iraq, Afghanistan and Pakistan. The transactions have been carried out by using rials for many years, he said. According to the refund regulations, the exporters must make a commitment to return the currency to the government, Azizzadeh added. However, exporters do not take currency to return it to the government, he said. Azizzadeh added that no company gives foreign currency liabilities, which leads to a decline in Iran’s export transactions. Last Iranian year (started on March 21, 2017) 375 million cubic meters accounted for ceramic tile production and 100 million cubic meters of which were exported to Iraq and Afghanistan.